In modernist planning, child-friendly interventions often imply creating child-specific facilities and spaces: designated especially and ‘only’ for children. This approach views children as fundamentally different from adults. They are defined as vulnerable and in need of specific protection and provision. Age-specific playgrounds are a good example of this. Another way of creating child-friendly cities is by building inclusive cities in which children’s needs are taken into account without isolating them in their own domains. Wide sidewalks, as advocated by Jane Jacobs, are a good example. 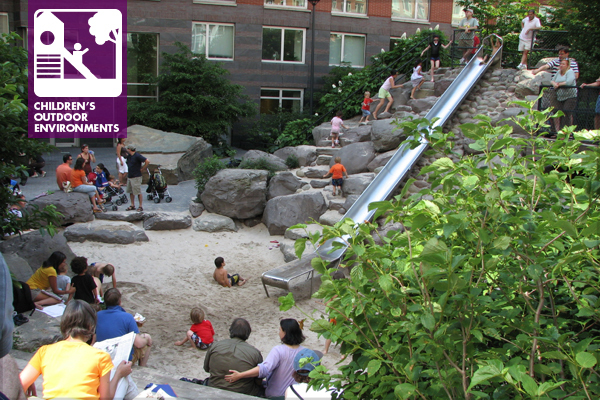 This second approach views children as essentially similar to adults as citizens of the city. The question thus arises: Which of these two approaches is better for creating child-friendly cities? This question, in turn, leads to an examination of different definitions of child-friendliness. What do children themselves consider child-friendly? Do their definitions differ from those held by adults? Furthermore, children are not a homogeneous group. Do we find differences in children’s own definitions of child-friendliness across gender, age group, social class, racial and ethnic background, residential location? And how can we best support children’s participation in city planning and urban development to promote child-friendly outcomes? This paper session aims to critically explore different issues related to child-friendly cities. Researchers are invited to send a title and abstract of a maximum of 250 words by August 15, 2014 to both Lia Karsten (c.j.m.karsten@uva.nl) and Willem van Vliet (willem@colorado.edu). Lia and Willem will reply before September 1 and intend to select papers for a special issue of the journal Children, Youth and Environments to be published in 2015-16.